A POWERFUL MILL for grains, pulses, and spices designed to run continuously! Freshly-ground flour on demand with the Mockmill Professional 200 Grain Mill. Discover the variety, flavor, and energy in freshly milled grains. An easy and quick adjustment of the settings from very fine to coarse by rotating the hopper. Casing: Wood and HI-MACS® – The Natural Acrylic Stone™. 2-year warranty for commercial use. 12-year warranty for private use. 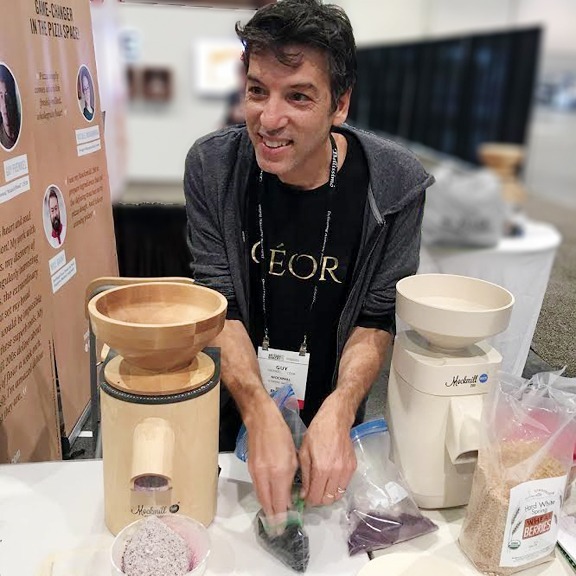 Guy Frenkel of Céor Bread putting the Mockmill Pro through its paces.